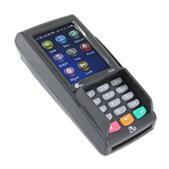 MyCard© PCI Compliant Payment Gateway – Latest POS Hardware. Automatic Authorizations. Swiped Rates. MyCard© is BookingCenter’s PCI Compliant credit card payment gateway and is tightly integrated with MyPMS. It is easy to use and eliminates the need for separate POS, additional phone lines, monthly and transaction fees and time intensive auditing of settlement reports. Connect your existing Merchant Account (or, we’ll help you get a new one that saves you money) to allow ‘swiped rates’ on all credit card activity. Use to Swipe (or manually key) any credit card to a Booking, Group Booking, House Account, or Direct Bill payment. MyCard uses the latest POS hardware – EMV, ApplePay, and ‘swipe’ Hardware. Authorization taken at check-in. Make sure the card holder has the appropriate funds on a credit card to pay for their stay. Automate authorizations (auth, increment, and void). Take Payments, Give Refunds, Create Batch settlements. Ability to increment an authorization UP or DOWN (ie, add or remove to an auth), or void an auth to give money back to the card holder. Settle Batches in MyPMS as a built-in part of Night Audit. Search by card # to assist with finding booking using specific cards. Our MyPMS product uses a certified gateway for the MyCard system from TSYS, Vital, or Visanet. The actual gateway is the Vital VirtualNet SSL with our certification under the Company name: “BookingCenter”, Product: “MyPMS”, Version: “3.5”. See all Recommended choices for POS hardware for use with BookingCenter PMS systems. Setup via MyCard and your account will be set up on a Tsys, VisaNet, or Vital processor platform. TSYS can provide services in 87 countries’ native currencies via local banks, including Canada, USA, the Carribbean, and Latin America. These customers can choose to use MyCard, or AuthorizeNet. With AuthorizeNet, nearly any processing network in the USA, Canada, UK, Australia, Euro area, or Mexico can work. POS Windows Hardware Setup Guide Set up a recommended BookingCenter POS solution for Windows PC Hardware Specifications Windows 98, XP, 2000, Vista, CD ROM drive and 200 MB free hard disk space. The POS Module enables customers to connect to your preferred Restaurant, Bar, and Gift Shop Point of Sale system; either AuthorizeNet or MyCard gateways for credit card interfacing; selling Packages, or connecting POS hardware.